Adnan Z. Amin is director-general of the International Renewable Energy Agency. Fatih Birol is executive director of the International Energy Agency. The opinions expressed in this commentary are those of the authors. The world has reached a tipping point: Energy efficiency and renewable energy technologies are now the solutions of choice, with other options taking second place. 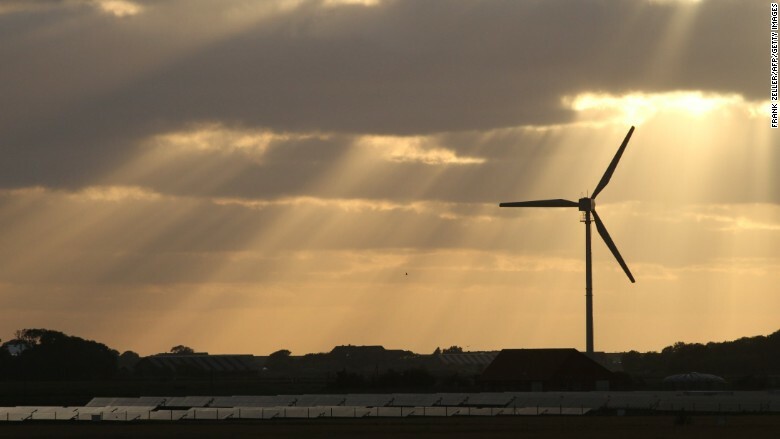 At least 164 countries have set renewable energy targets. And countries representing more than 90% of the global economy have taken the remarkable step of submitting pledges to reduce greenhouse gas emissions ahead of the COP21 climate summit in Paris next week. Since the Copenhagen climate talks in 2009, renewable electricity generation has increased more than 40%. Renewables contributed almost half of the world's new power generation capacity in 2014 and have already become the second-largest source of electricity. Deployment also continues to shift toward energy-hungry emerging markets. China and India have upped their renewable ambitions significantly. Much of this has to do with cost. Renewables are becoming increasingly competitive with traditional sources of electricity. Analysis shows that renewable power generation costs have reached comparable levels or have dropped below that of fossil fuels for many technologies in several parts of the world. As the market expands further, technological improvements will drive cost reductions for the most dynamic technologies, such as solar photovoltaics and onshore wind. For example, solar photovoltaic capacity has increased more than eight-fold since 2009 and costs to build new plants have fallen by around two-thirds. Solar producers around the world are reaping the benefits of decades of government investments from the likes of China and Germany. Despite the tremendous advancements the world has made thus far, analysis shows the new pledges won't stop a rise in global temperatures. Experts still expect an increase in global temperatures of 2.7 degrees Celsius. Predictable and stronger policy measures are needed to further accelerate the pace if we are to keep the temperature rise below 2 degrees Celsius. 1) Financing and investments: A better enabling environment is needed to attract private investment on a much larger scale. Financing represents one of the biggest components of the cost of new renewable projects and the barrier is often unnecessarily high. In many countries, banks and other lenders demand hefty risk premiums, largely due to uncertainty over government policy. Moreover, market rules must evolve and provide the right signals to attract investment in capital-intensive renewable technologies and other technologies that integrate renewable power into current energy systems. 2) Focus on heat and transport sectors: More policy attention should focus on boosting renewable development in the heat and transport sectors, whose progress is falling far short of what's needed to meet climate change goals. Advanced biofuels will be essential, and developing them in an environmentally sound way requires a long-term vision. Using renewable energy for heat could considerably improve energy security in a cost effective manner. Renewable technologies now offer governments affordable win-win solutions to enhance energy security, reduce local pollution and mitigate global climate change at the same time. Our organizations are cooperating closely to help decision-makers realize the full potential that renewables can not only bring to our energy systems, but to our communities, our economies and our environment. A clear, supportive outcome from COP21 is needed to tip the balance further. This is our hope and expectation.